Great series, great author, and wonderful narration. Must read! Loved this audiobook, the voices are amazing. I've started talking in their accent too. It sounds so sophisticated. It was very nicely written and told in a way to make you feel you know the characters. I can't wait for the next book! Amazing story. Had me on the age of my seat the whole time. Aaaahh!! This book is magnificent! I'm always apprehensive about sequels; it seems that even if they're great, they can usually never measure up to the first book. This one, however, blows my theory straight out of the water. 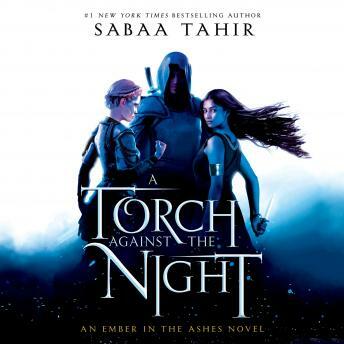 Sabaa Tahir ties up some loose ends, gives the reader plenty of shock & wow moments, raises some new, intriguing questions, all the while keeping the story so visceral, so nail-bitingly suspenseful at times that I literally HAD to stop and take a minute to tell myself that I really COULD withstand whatever she threw at me next! The 3 narrators are superb!